If you are a blogger then the word pageviews is both wonderful and the bane of your existence. Sure the blogging veterans tell you not to chase those pageviews but when you are new to the blogging world that is all you can help but do. Those pageviews mean readers, those readers mean eyes on your content, and eyes on your content means income. Ad income which when you are starting out is a pretty good motivator to keep on going. So what do you do when pageviews drop? So, what do you do when your pageviews are down? When Pinterest, Facebook, or other social media platforms decide to do yet another algorithm change and pageviews plummet? First of all, don’t panic. I have done the panic thing and it just doesn’t work. All that does is have you question yourself and that is the last thing you need to do when you are trying to get a new business off the ground. Instead of chasing those pageviews I am offering another way to approach the inevitable changes social media loves to make. Rather than seeing this as the rug being pulled out from under us let’s instead look at this for what it is. An opportunity to get our house in order. We all know when a change happens more often than not people go into panic mode. They scramble to get back the pageviews that were just cut in half. They ignore the things that need to be done and spend most of their time chasing their tail. If you don’t believe me just look at any blogging Facebook group when Pinterest does an update. There is post after post from bloggers saying their pageviews have dropped significantly and they don’t know what to do. Instead of riding things out they do the worst thing they possibly can. They ask to see what others are doing to promote their posts on Pinterest and they immediately jump ship and replicate their system. This can quite possibly be the worst thing you can do. Trust me here, I am speaking from experience. Sure a tweak or two is fine, maybe even encouraged. But a full-on overhaul is never the way to go. Remember what is working for one blog will probably not work for yours. More often than not those page views will come back and when they do you need to be ready and so does your blog. 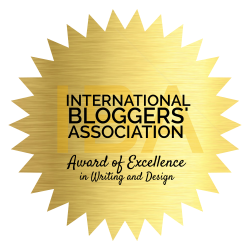 You need to get yourself into improvement mode whether you think your blog needs it or not. 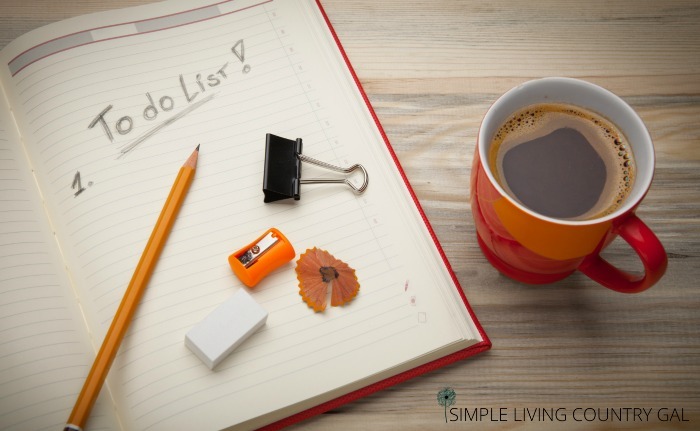 Just like our homes our blogs can become cluttered. And when you have a cluttered blog you will not be able to gain the success you hoped for. Take this time to go through your plugins and remove any you are no longer using. Plugins are good, yes, but too many can really slow things down. And we all know a slow blog is NOT a successful blog. The key to outlasting social media and it’s manic behavior is to get more concrete pageviews. Google is where it’s at and if you want Google to shine its rays of love onto your blog then you need to let them know you are here. Keywords are the most effective way to do just that and a good thing to focus on when pageviews drop. They are the neon signs that let Google know not only what your post is about but what your blog is about as well. Take this time to go through your posts and find the best keywords and make sure you have enough (but not too much) sprinkled throughout your post. Install Yoast Plugin and use the free version as a guide for setting up an effective post that Google will find easier. Get at least one keyword bolded in your post by using Heading 2 or Heading 3. By doing this you are putting your keyword front and center where Google will more easily see it. Use a few of your keyword variations throughout your post in a “real” person manner. What I mean by that is don’t just throw them in there. Remember you are actually talking to a person so keep your post conversational using your keyword in different ways that make sense to your reader. Make sure your keyword is in your title, meta description, and all of your image alt tags. This just gives Google a heads up that this is actually what your post is about and you are an authority of this keyword. This is one of those painful lessons I learned the hard way. A few links I had on a pretty popular post were no longer good and I cringe when I think of all the income I lost because of that. Take this time to check your links and make sure they are current and accurate. While you are at it make sure those links are still relevant. If not do a quick update now. Add more relevant links in a way that is conversational. I used to be awful at affiliate links and the money I made with Amazon was just a few dollars a month if I was lucky. I then took an amazing course that turned it all around for me. Affiliate Marketing for Bloggers – Everything You’re Missing by my BFF and blogging Yoda, Carly Campbell is one resource I recommend over and over. This little beauty changed everything for me and I encourage you to check it out. I went from a few dollars a month to hundreds of dollars a month even when my pageviews drop. Yep, not a typo. That’s a 700% increase in Amazon affiliate sales. If your email subscribers are struggling a bit then now is the time to give them a look. Take your top performing posts and make sure you have an opt-in included that not only compliments the post but is something that specific reader will want to get their hands on. For example, this post is a list of things you can do to update and prepare for when pageviews increase. A perfect opt-in would (and will) be a checklist that will make this easier to do. Something most readers would like to have to help this post be simpler and quicker to implement. Ninja Tip: If you want your FREE offer to convert really well, make it the main focus of your blog post. By doing this you are drumming up excitement so as your readers progress through your post they are so ready for your opt-in they are jumping to subscribe. Just like your opt-ins if you want those subscribers to stick around after they got their freebie then you need to make sure your welcome sequence shows the very best of you. Let your new reader know just what to expect, offer them another freebie that pertains to your blog’s message and most importantly be yourself. This is your chance to let them know that your list is your VIP’s and not only do they get a helpful email each week (or whatever your schedule is) but they also get special offers meant only for them, the first look at new freebies and other useful tips they simply cannot live without. Listen your email list is only good if they open your newsletters. Teach them early on that your emails are worth opening so they are not only an engaged reader but a dedicated one. Nothing can make or break a post like your images. Now is the time to get in there and make adjustments. Make sure your images are the same size, load quickly, are clear, and relevant to your post. Check your alt-tags while you are in there and make sure your keywords are updated and included. Since more often than not the reason our pageviews are off is because of Pinterest and an update or change. The best time to get new pin images out are during/after an update. Take the time now to get new images made for at the very least your most popular posts. Use the current recommendations of Pinterest itself to ensure you are making the correct size. This can be a matter of opinion but right now shorter seems to be better. I am making pins that are 600 x 900 and they seem to be doing well. If you do make new sized images and find they are not performing well for you-you can always go back to a longer size if you find they worked better. If you have replaced older images completely you may want to remove them. Too many images can slow things down a bit and as I said before a slow blog is NOT a successful blog. Nothing will chase a new reader away quicker than a slow loading site so make sure yours is as quick as it can be. If you have plugins then you have updates. Don’t make the mistake I did and just hit update when you see one in your queue. Do a little research to make sure the update is a good one and not something that will cause headaches. Never ever click without checking. Not sure where to check? Post in a Facebook group to see if there were any issues with an update you are unsure about. Instead of chasing pageviews put your focus on the money makers. This is a great distraction when pagviews drop. Those specific things that will increase clicks, subscribers, and customers. For me, I believe there is nothing more powerful than a dedicated email list so most of my downtime is always spent there. An email list, I believe is the secret sauce to a successful blog and I highly recommend you put at least 25% of your focus on building, growing, and establishing a list of dedicated fans that love to hear what you have to say. While you are working to get ready for the next round of pageveiws don’t forget to keep on pinning. Even if it seems like nothing is working keep on keeping on. Those pageviews will come back and this time you will be ready! When you are a new blogger (or even an experienced one) nothing can derail you more than crashing pageviews. Rather than panic when pageviews drop use your time to prep and tweak. I promise you it will be time well spent. Thank you so much for this post! You are such a big help and an inspiration! I’m going to take your advice and not panic. I’m figuring out that blogging is like the stock market. There will be ups and there will be downs. Both sides have their advantages.. We just have to open our eyes to see it! I am so glad you found this post helpful! 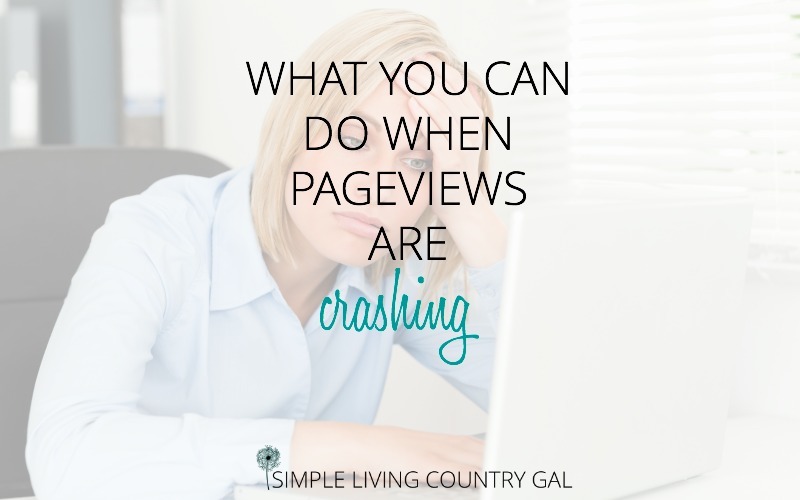 Just keep your head down and work…best advice I can give you when pageviews fall!